It was a warm, sunny day in the community of Itamar and high school sophomore Menachem Shimon and his friends were hanging out on the bleachers by the soccer field, playing guitar and enjoying the sunshine. Suddenly, their melody was punctuated by the sound of screams and gunshots – a terrorist had infiltrated the school and was firing on the basketball court. Menachem and his friends ran to their Rabbi’s house as the Palestinian terrorist fired at them and thankfully, they made it to safety. Unfortunately, Menachem lost three friends that day. After murdering one teenager on the basketball court, the terrorist proceeded to the dormitory where he murdered two more young boys. This experience fundamentally changed Menachem. It was the height of the Second Intifada, and attacks on Jews were a daily occurrence. More and more boys from his hometown and his yeshiva were attacked, and week after week Menachem was losing friends to Palestinian terror. Then, the panic attacks started. 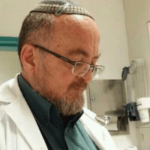 Menachem began to suffer from anxiety – he could be sitting and everything would be fine, and suddenly he would have panic attacks. So he turned to G-d, in tears and spoke the way a child speaks to his father. “G-d, please help me,” he cried. Suddenly, at that moment he felt as if a Hand from the Heavens reached down and pulled away his anxiety. Until this day, 18 years later, he has not had any more panic attacks. “How do you explain this?” he was asked. “Everything is from G-d. I completely believe that G-d navigates the world,” he answered. Menachem Shimon with his wife, Moriah. 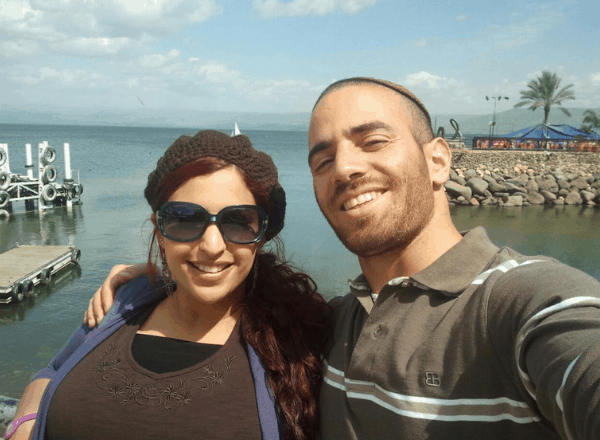 After high school, he enlisted in the army, and after completing his army service, he returned to yeshiva and married his wife Moriah. Originally from Jerusalem, Moriah fell in love with Samaria, and the couple decided to make it their home. 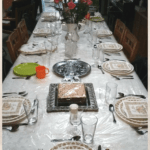 His marriage and his time in yeshiva were helping him with his anxiety. His relationship with God was giving him the strength to get through this tough time, but both he and his wife could tell there was something missing. His wife suggested that he try out martial arts, something he loved as a child. When Menachem was a boy in school, he was a very hyper, active child. His parents enrolled him in self-defense classes as an outlet for their high-energy child. He loved his self-defense classes but did not maintain them in high school. He had done some Krav Maga in the army, and so he decided to give it a shot. Menachem instantly fell back in love with martial arts. He received a black belt in Jiu-Jitsu and became certified to teach martial arts. He could see how martial arts restored his own confidence, and he wanted to help young boys feel the same way. 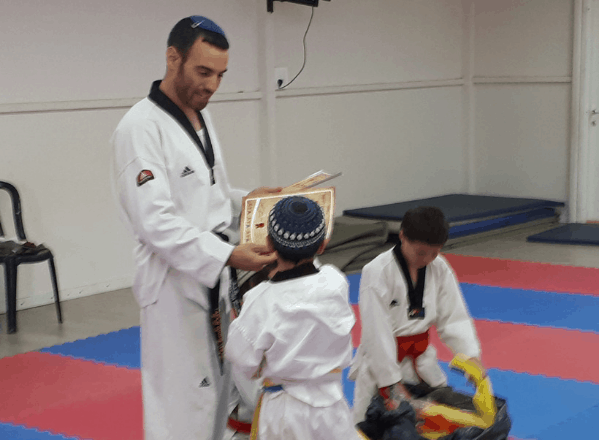 Menachem giving out awards to his Taekwondo students in Kochav Hashachar. 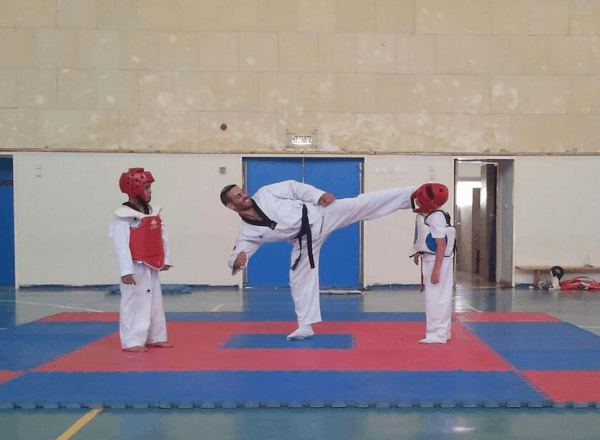 Today, Menachem teaches Taekwondo and lives with his wife and three children in the community of Kochav Hashachar. This beautiful settlement is not recognized by many members of the international community. Although evidence of Jewish presence in the region dates back thousands of years, those who seek a “two-state solution” wish to expel Jewish families like Menachem’s from this region. But Menachem and his family are not going anywhere. He is a pioneer and a fighter, and he inherited his passion for founding Jewish towns in the Holy Land from his parents. They founded Yamit in Sinai and Elon Moreh. His father was also among the founders of Beitar Illit, and Menachem helped found Havat Gilad, named for one of his murdered friends. 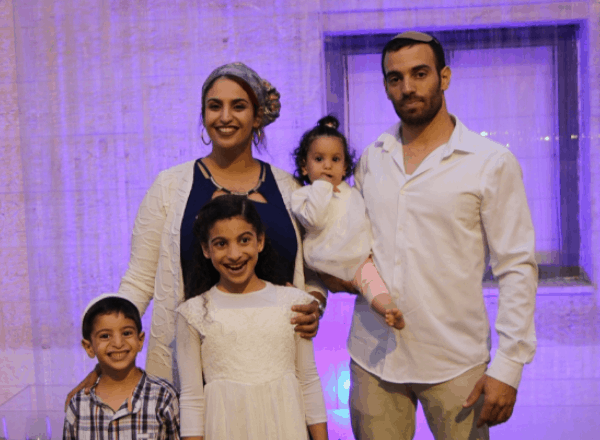 Menachem and Moriah with their three children. 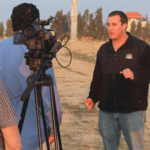 Currently, he is involved in founding and building a new program in Yeshivat Alonei Habashan, a high school for boys in Northern Israel. 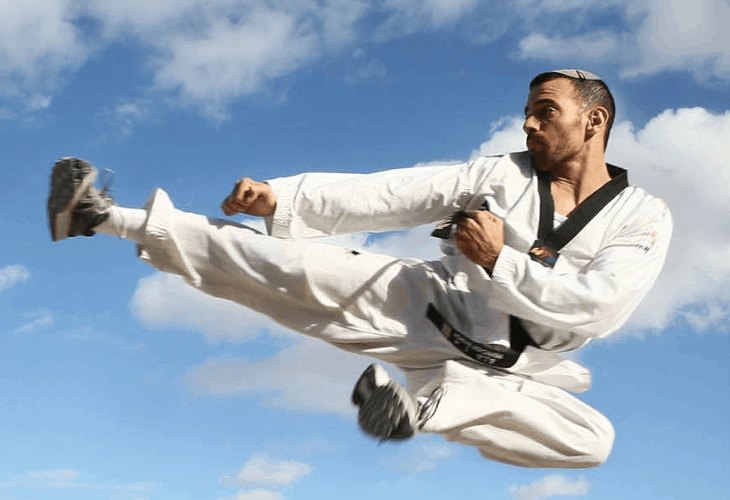 This program will integrates martial arts (Taekwondo, Krav maga, etc.) with education. The students will run every morning with their teacher. They realize that if they focus more on the physical activities that the students are successful in, then the students will feel more motivated to work on the academics that they are struggling with. 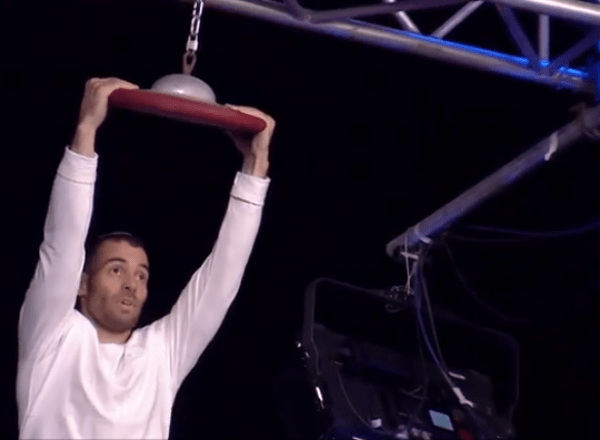 Menachem on Israel’s Ninja Warrior. Menachem’s experience in martial arts propelled him to try out for the show Israel’s Ninja Warrior. Not only did he make it onto the show, but he made it to the finals, wearing a kippa (yarmulka) the entire time and thanking G-d throughout the entire competition. “I always pray, that G-d will help me and then I thank Him,” he replied. Menachem teaching a Taekwondo move to his students. Menachem is proof that strength can develop after pain. He lost too many friends during his teenage years, and yet he is not afraid. 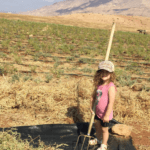 He will not leave Samaria, the Biblical Heartland where our forefathers walked. He believes in rebuilding not retreating, fighting back and not giving in. He teaches people aged 5 and up (some even aged 45+) to defend themselves. In partaking in building a new high school, he is fighting back in another way. He is showing the world that the Jewish people are not going anywhere, and he is cultivating growth in the communities of the Holy Land. If you would like to learn more about new high school in Alonei Habashan or send words of strength to Menachem, you can email him at [email protected].